The Honeywell Optimus 5900 RFID has been discontinued. No direct replacement is available. 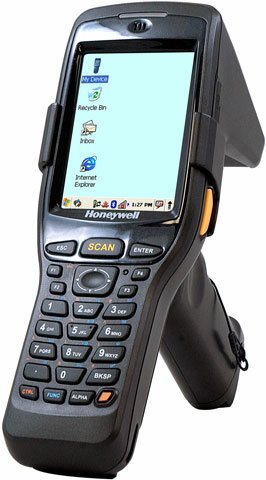 The Honeywell Optimus 5900 RFID is a versatile, light industrial mobile computer designed to deliver the benefits of radio frequency identification (RFID) and automated data collection for retail and supply chain enterprises. Offering real-time access to item-level inventory data, the Optimus 5900 RFID enables improved profitability through informed decision making. Built to withstand the rigors of daily use, the IP54-rated Optimus 5900 RFID can endure exposure to dust, dirt and splashing water, as well as accidental drops from distances as high as 1.2 meters. RFID, WLAN, WPAN, Bluetooth, 5300SR 28 key, Windows CE 5.0,5000MAH BATT.